A system is ‘a network of interdependent components that work together to try to accomplish the aim of the system’ (Deming). It’s made up of structures, processes, people, and cultures. So my swimming system includes for example: the pool I usually swim in; its opening hours; myself and the other swimmers; how people do or don’t comply with lane etiquette. All improvement involves change. But not all change will bring improvement. We always have many choices about what to change; to decide what to change, we need a theory. The theory allows us to predict what will happen when we make a change. I predict that if I switch off my neck muscles and let my head hang, I’ll achieve better balance in the water. I predict that under certain conditions I’ll reach the end of the length in 18 strokes. When I swim, I learn by testing those predictions. If you weigh yourself every day, are you the same weight one day as the next? Unlikely. In the morning, does the school run take the same time every day? Unlikely. There is random variation in everything we do. Sometimes there is non-random variation: if you drive the kids to school and only realise when you get there that it’s a holiday, it’s highly likely there’s less traffic, so you get there faster. When I swim, I want to take control of the variation: maybe to swim faster than before , or for my number of strokes per length to be more consistent. To improve, we must be willing to change. Sometimes this means changing behaviour, sometimes making deeper changes within ourselves. How successful we are when we aim to improve our swimming will depend on many factors: our motivation; our beliefs; our assumptions; how we interact with other people; our preferred way to learn. Applying the System of Profound Knowledge to your improvement efforts can help you make some order out of what Bob Lloyd calls ‘the messiness of life’. 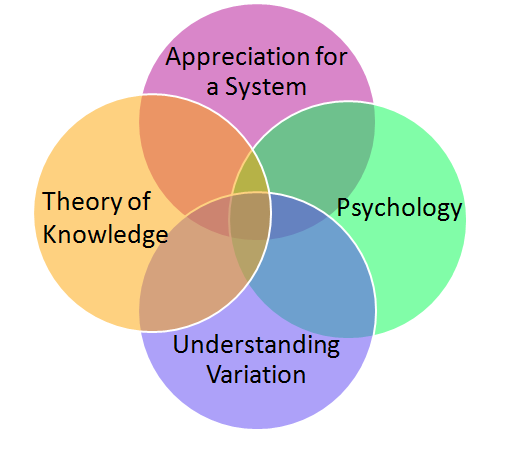 Look out for our updates on Profound Knowledge, and how it can help you. In the meantime, what is it about your swimming that you want to improve?